Fellow writer Charles S. �Buc� Fitch penned a multi-part series on backup power generators in the the Feb. 7, April 18, June 13 and Aug. 8 issues of Radio World Engineering Extra. 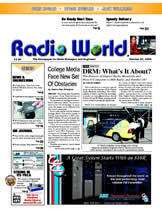 (Read them at radioworld.com, keyword �Fitch.�) Buc did a great job explaining the theory behind generators. But let me tell you the rest of the story; the important part is how well a generator performs in the field. A backup power generator�s job is to emulate utility power as closely as possible. Fig. 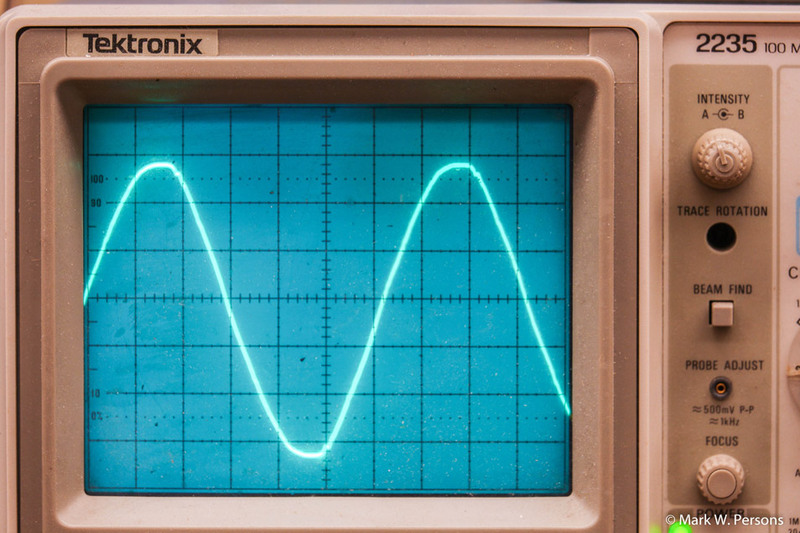 1 shows an oscilloscope looking at the almost sinusoidal voltage waveform from my local power company. Measured harmonic distortion was 2.0 percent. Anything up to 6 percent is acceptable in my book. When I say harmonic distortion, I mean unintended energy at two, three and four times the 60 Hz fundamental frequency plus noise. Pure 60 Hz would have zero distortion. Fig. 1: Utility power with 2 percent harmonic distortion. Waveform appearance will vary depending on what loads are present on the power line. Those loads are inside a facility and outside where other customers are using power from the same line. Some of those loads might be in an industrial park causing the waveform to be worse. In this case, wave tops are rounded off because current drawn is greatest on the voltage peaks, thus pulling the peak voltage down. 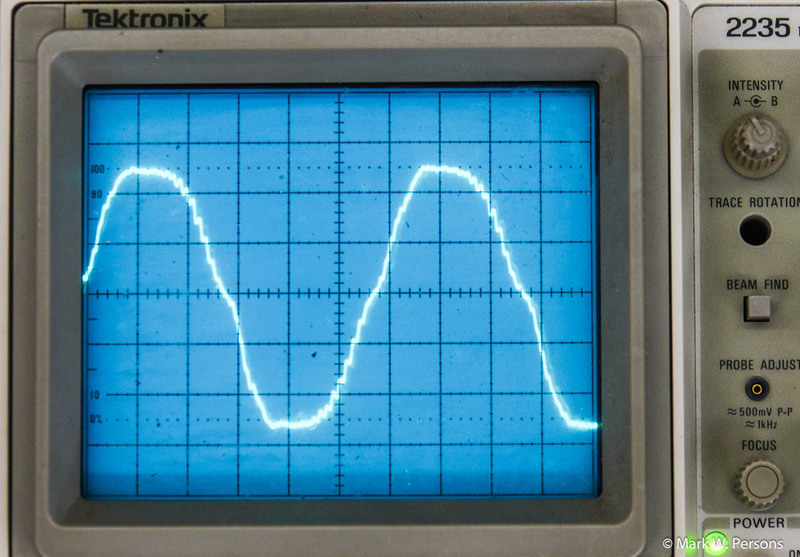 Fully loaded transformers can overheat and fail, if the waveform is not a clean sine wave. Fig. 2: The output of an APC SmartUPS 3000 when it is running on battery power. Many uninterruptible power supplies are rated to have an output with 6 percent or less harmonic distortion when they are online (Fig. 2 illustrates that). I measured just under 2 percent distortion on an APC SmartUPS 3000, with a 1500 watt load, which made it slightly better than utility power because the peaks were not rounded off. 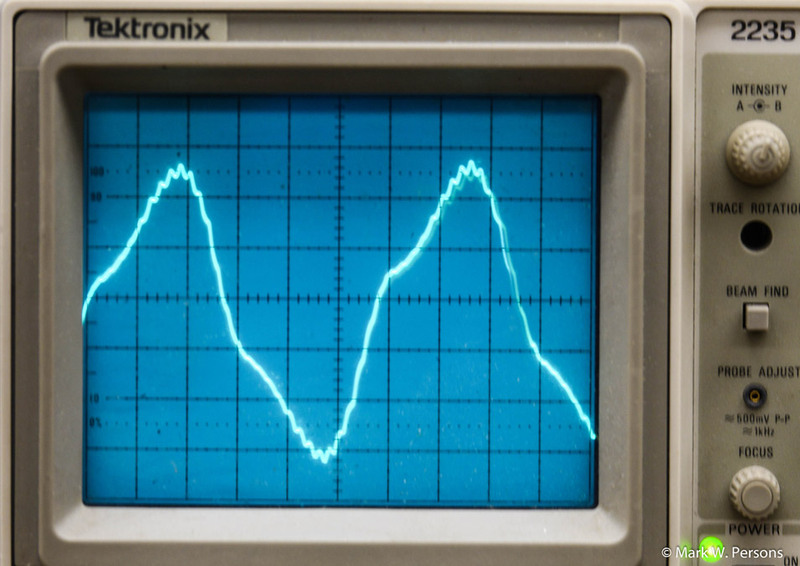 Voltage peaks are a bit jagged, but the overall picture is a sine wave. Fig. 3: A Kohler 22RY generator supporting air conditioning. Fig. 3 shows a 22 kW Kohler model 22RY backup power generator loaded to about 60 percent, including a three-ton air conditioning unit. The manufacturer put tight electronic controls on engine speed and the voltage regulator. Fig. 4 shows that with just 2.5 percent distortion, Kohler did the smart thing by utilizing a Ford four-cylinder four-cycle industrial engine in this unit. It has proven its reliability over the past 14 years while running on propane fuel. Fig. 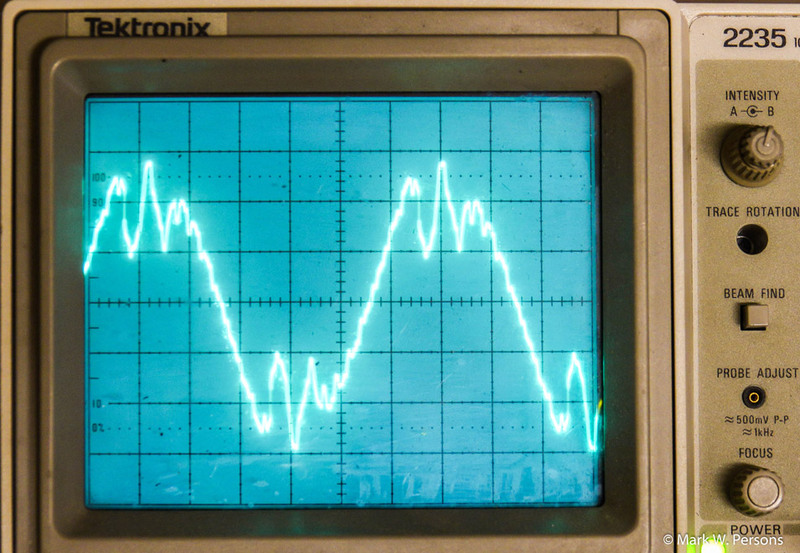 4: Harmonic distortion 2.5 percent on generator at 60 Hz. What I like about propane or natural gas is the fact that they last forever. These fuels do not degrade with time. My opinion is that gasoline is the worst choice. Even with fuel stabilizing additives, gas goes bad and may not still be good enough when needed most. A friend brought over a Sportsman brand Gen 4000 gasoline-driven portable generator. The waveform looked good until it was loaded to 50 percent with an electric space heater. Then the wave shape changed. In Fig. 5, harmonic distortion went past 10 percent at that point. This unit is OK for keeping many appliances running, but required careful selection to find a UPS unit that would not stay on battery with this kind of power. In Fig. 5, harmonic distortion went past 10 percent at that point. This unit is OK for keeping many appliances running, but required careful selection to find a UPS unit that would not stay on battery with this kind of power. Fig. 5: A Sportsman Gen 4000 plant with a 50 percent load. Fig. 6 shows the output of a Winco 1999 vintage PSS8000, 8 kW ground-mounted (3 feet x 2 feet x 2.5 feet) generator plant. The jagged waveform pegged the needle on my distortion analyzer, which can only measure to 10 percent. The picture changed little from no load to 4 kW when I tested it. Like many generators with a cost-conscious design, an air vane near the engine flywheel is used to regulate engine speed. The goal is to have 60 Hz at the generator output terminals. Engine speed can vary with temperature, humidity and load conditions, thus affecting frequency. Better plants use electronic controls to regulate engine RPM. Fig. 6: A Winco PSS8000 generator ragged waveform. I also tested a gasoline-powered Honda EU2000i Generator, with inverter technology, which came in at about 1 percent harmonic distortion with a 70 percent load. Basically, it is a UPS that is gas driven. Its inverter is clean because it electronically creates 60 Hz with low waveform distortion. The penalty is higher cost. Fig. 7 shows a typical 3 kW gasoline driven plant at half load. Measured harmonic distortion came out to 6 percent, my benchmark for good versus bad. Fig. 7 A typical 3 KW generator. Meanwhile, you�ll need an uninterruptible power supply to keep computers running for seamless programming. Each UPS has its own tolerance to line fault conditions. It is more than coming online when power fails Let�s say your backup generator is putting out power at 58 Hz instead of 60 Hz. Many UPS units will switch to and stay on battery even when there is 120 VAC power. 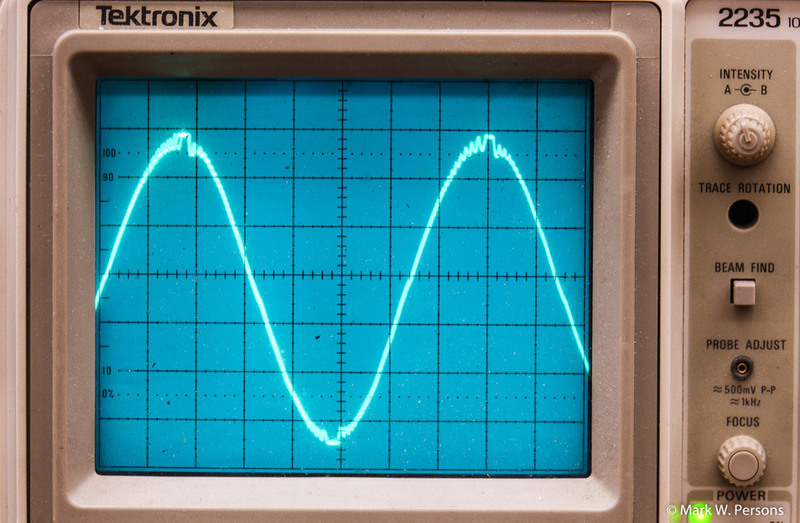 A similar thing happens when the waveform is something other than a sine wave. For some �less than great� backup generator plants, one client had to test five UPS units until one was found that would accept less-than-ideal power. Who is to say that you or another technically qualified person will be there to run a backup power generator the instant utility power fails? Not likely. After all, a 40-hour work week represents less than 24 percent of the total time in seven days. The hospital standard requires a generator to automatically start and come online in just 10 seconds. Yes, it can be done. Some systems take longer. Fig. 8 shows a Kohler 240 VAC/200 ampere automatic transfer switch. It measures in at 24 inches high x 18 inches wide x 11 inches deep � likely that would be all you need at a studio. Fig. 8: A Kohler 200 ampere automatic transfer panel. 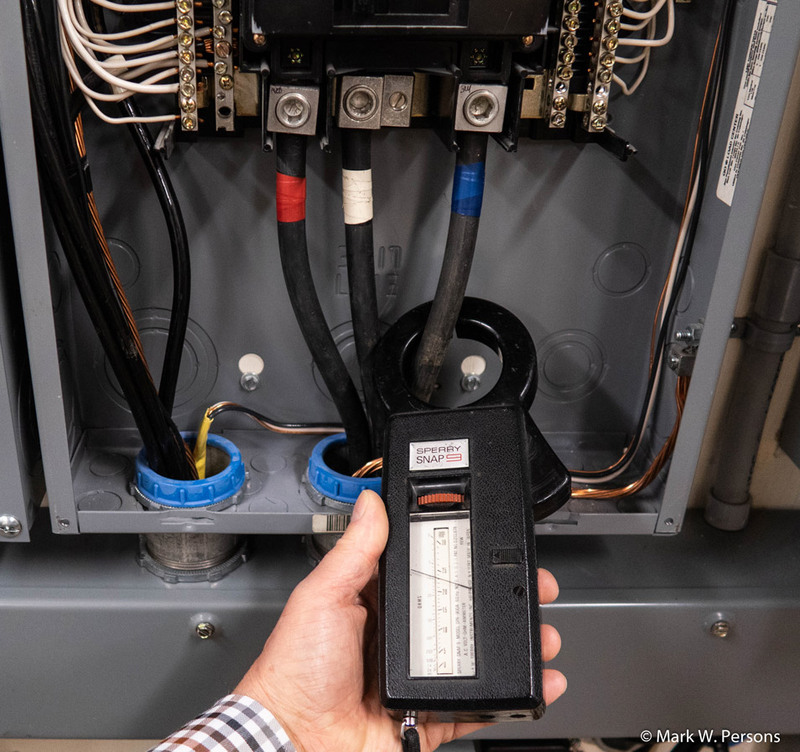 You can do facility load calculations, but my recommendation is to use a clamp-on AC ammeter to measure actual current draw on incoming power cables in a building�s electrical load center. (See Fig. 9.) Do it with air conditioning and all other loads turned on. 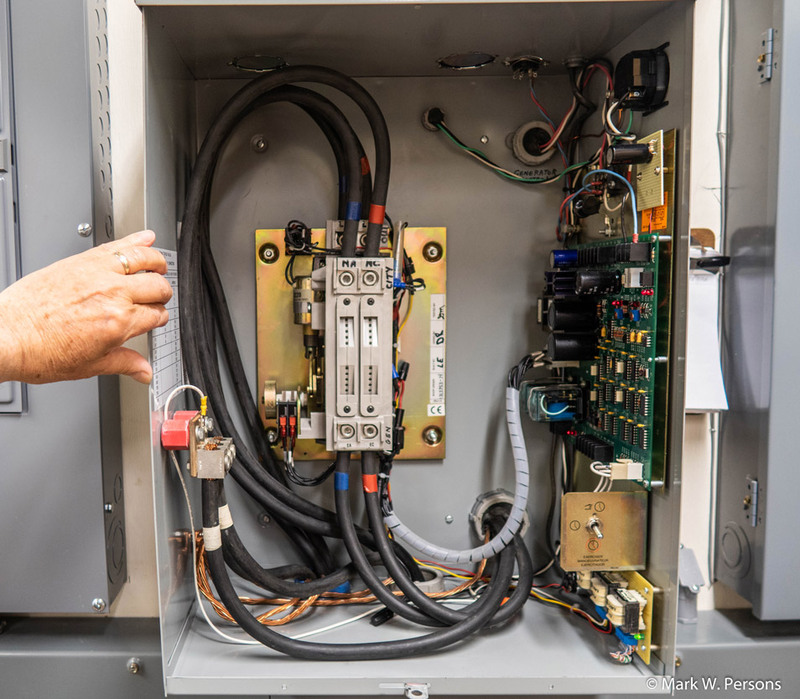 Plan on an automatic power transfer switch to interrupt and replace all power to the facility. Most electricians, in my experience, think in terms of supporting the most important part of a facility with a generator plant. That leaves many circuits with no power during an outage. Human desire to keep everything running will result in extension cords running down hallways and under doors. This is a bad scenario, if only from the standpoint of creating a trip hazard. Fig. 9: A clamp-on ammeter measuring actual current draw. AM transmitters require better generator regulation, as they draw about 50 percent power more while being modulated. A generator needs to be able to keep up with that changing load. Compare pricing on power generators. You�ll find that the up charge for doubling a generator size is not twice the price. You might pick one that can handle everything except the air conditioner. In that case, a relay to sense a power outage can be used to interrupt the low voltage/low current control line to the air conditioner�s compressor. Everything will continue running, except the actual cooling, which is easy enough to do. My hometown of 13,000 people (80,000 market size) suffered a 24.5 hour power outage after a tornado came through in 2001. The entire city was shut down. Supermarkets threw out food by the ton. One radio group of three stations stayed on the air with backup power while five other stations did not. My records show a 20 kW generator, loaded to 70 percent, will use about three gallons of propane per hour. Ask a generator salesman for a list of local users. Take an oscilloscope to one or more of those locations to see a generator in action under load conditions. 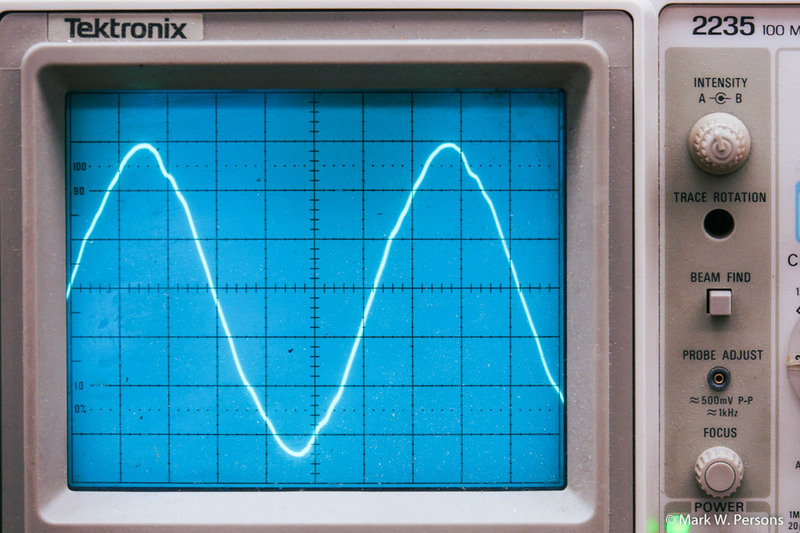 If the waveform does not closely resemble a sine wave, then try another brand. At the very least, use several UPS units as a test instruments. If they accept generator power, then likely it is OK. The power quality of generators varies substantially. Know what you are getting into before spending money. It makes perfect sense. September 27, 2018: Hi Mark, I read your Radio World article on Power Generators (�The rest of the story�) with great interest. This subject would be very relevant, as a presentation for our SBE chapter. Thanks and congratulations on receiving the Engineer of the Year award. Best regards, Art Lebermann, CPBE, W6REQ, Chairman, SBE Chapter 40, San Francisco, California. September 11, 2018: Mark, In the Radio World daily email, we were all reminded of your R/W generator article. Looking for something else, I had that article up on screen and quickly got engaged in reading that piece once again. Arguably one of your best efforts ... a really good 'news you can use' story. Best, Charles "Buc" Fitch, Avon, Connecticut. Mark Persons, ham W0MH, is an SBE Certified Professional Broadcast Engineer and is now retired after more than 40 years in business. His website is www.mwpersons.com.